New Delhi: Public health experts, civil society organisations, educationists and medical experts in Punjab are gearing up to launch a state-wide campaign against moves to push privatisation in the health and education sectors. At a meeting held in Punjab on Wednesday, spurred by a notification by the Punjab Health Department on January 20, inviting private entities to bid to run primary healthcare facilities in Punjab, and the Chandigarh administration announcing on January 30 that they propose to hand over government schools to for -profit private players, Pyare Lal Garg of the Jan Swasthya Abhiyan reminded the people about two earlier “failed attempts” (2011 and 2015) by the government to hand over public health services to profit-making private entities, according to a press statement. Amulya Nidhi, National Co-Convener, Jan Swasthya Abhiyan said that the Punjab government was repeating the mistake made by Karnataka in 2008 where, under Arogya Bandhu Scheme, 39 CHCs and PHCs were handed over to private players. He said it was found through an NRHM Evaluation study in 2013 that the Arogya Bandhu Scheme had “failed to achieve its primary objective to improve quality of healthcare services.” As a result, the Karnataka government had withdrawn the public-private partnership (PPP) move in the state. The campaign group has decided to undertake mass mobilisation in Punjab and Chandigarh, educational institutions, urban slums and public places against the move for privatisation. The Campaign Against Privatisaton of Health and Education said it was demanding withdrawal of any move towards privatisation via the PPP model of health and education by Punjab and Chandigarh, withdrawal of the process mentioned in the Punjab Health Department’s Public Notice seeking “Expression of Interest” and bids for handing over public health facilities to private parties, even for piloting PPP model or through any other model, and strengthening human resources, services, supply systems, capacity and infrastructure at all health and educational institutions through government’s resources to ensure uniform delivery of health and education services across Punjab and Chandigarh. According to the public health activists, the Public Notice issued by the Punjab Health Department on January 20, invited private entities to bid to run primary healthcare facilities in the state. “Subsequent statements from government officials denying privatisation are vague and need to explored in greater detail,” they said, adding that the Chandigarh administration announced a similar proposal to hand over government schools to for-profit private players. 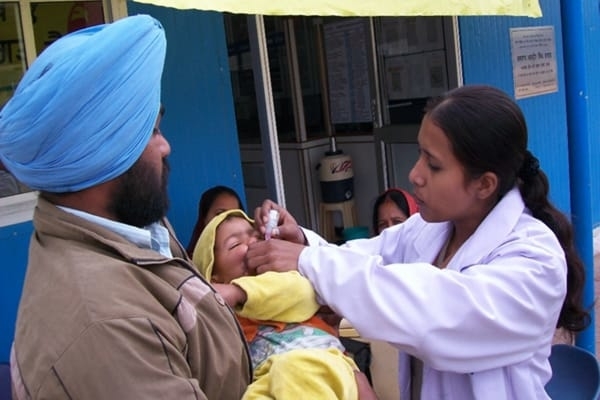 “We feel that the move to privatise has been undertaken without considering evidence and experience of PPP in healthcare and education”, said the statement, adding that Constitution guarantees health and education to all people of India and the move of Punjab government and Chandigarh UT Administration goes against the spirit of equity envisioned by our Constitutional forefathers, as it will affect lakhs of children who are getting education in government schools, especially the poor. Public education sector in the country has been receiving deathly blows from the beginning of the Modi regime.